Hello everyone! 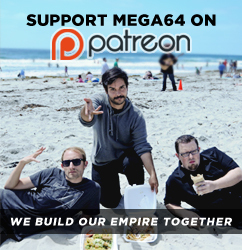 In this episode of the Mega64 Podcast: We discuss fire safety, The Game Awards, Joker Update in Smash, Shawn’s No Cussing Challenge, Game of the Year, Super Smash Bros Ultimate, Rocco’s car accident, The Fury of The Aquabats concert, PlayStation Classic, Prager University, the death of Tumblr, and new internet code words. Click here for the audio version! That's all for now, make sure you come back NEXT SUNDAY for CHRISTMASCAST 2018!!!!!!! !